Mediterranean jellyfish from Malta - a multiple competition winner! 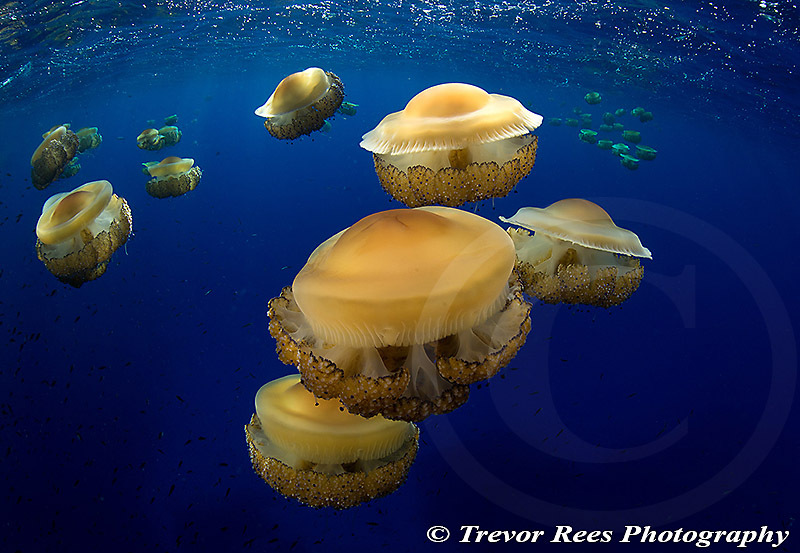 Judged image at the year and voted best overseas print at Bristol Underwater Photography Group (BUPG). Also a winner at the British Society of Underwater Photographers (BSoUP) January 2014 Focus On competition. Taken in Malta, using available light with a little foreground flash fill light.